416 pages | 1 B/W Illus. Employment and "adult day programs"
The book explores a framework that would finally bring together the community and community development worlds. 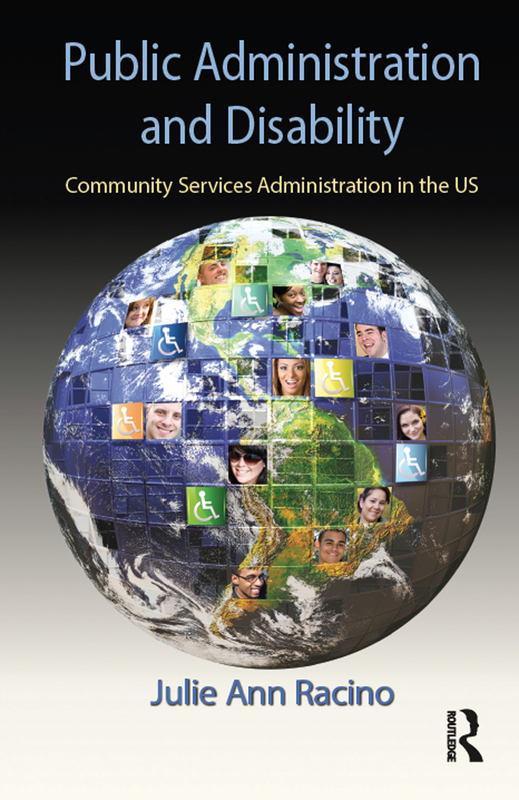 It describes models and theories of disability, long-term services and supports in communities, comparative community service systems and exemplary services, contemporary administrative areas, the national policy research and international human rights agendas, and the future of public administration, disability, and community in the global context. It provides a beginning point to consider what the "disability" field "publicly knows" and what can be done to develop a full conceptualization and actualization of the future of services and communities in the twenty-first century. Julie Ann Racino is a freelance writer and author of Policy, program evaluation and research in disability: Community support for all, published by the Haworth Press, among other books. She is currently a member of the American Society for the Advancement of Public Administration, and has served in numerous Associations (e.g., The Association of Persons with Severe Handicaps, the National Institute on Disability Research and Rehabilitation, American Association for Intellectual and Developmental Disabilities, Consortium of Citizens with Disabilities, American Public Health Association, Museum of Science and Technology (the MOST), and Association for the Care of Children’s Health).